University of Exeter – Tom Browne: When making the argument for OER, it is important to include the evidence of demand for OER. Open access academic work must be tied to institutional mission. Production of OER should be seen as scholarly activity within staff development. Exeter has now launched Open STEM, and while this initiative was specifically for STEM subjects, it sparked enthusiasm in humanities subjects as well. Oxford University – Melissa Highton: The most successful OER production is built on existing workflow – Oxford academics were lecturing anyway, so a decision was made to just audio-record as they do it and make it simple enough that lecturers can do much of the process themselves. This is how Oxford launched and runs their iTunes U channel. Although Oxford offers both audio and video lectures, their data shows that audio-only lectures get downloaded three times as often as video versions. To those who may still ask “why capture a lecture?” Melissa argued that a lecture is a unique academic event – this person will only be speaking about this topic or research in this way and with this audience today and not again, so capture it and allow any Oxford student to hear it, in fact, allow anyone to hear it. Melissa described a new skill for academics to become fluent in open content provision : open content literacy (releasing open learning material in an ethical fashion). Finally, she presented evidence of reuse: schools using Oxford lectures in their own teaching and finding it unnecessary to chop or rehash the lectures. University of Nottingham – Steve Stapleton: Their university saw the social responsibility of publishing OER, showcased in their work with OERAfrica. Steve’s presentation emphasised improving student experience by focus on open content – academics became more conscious of quality because they knew the material would be open. The University of Nottingham will now feature information about their open content in the university prospectus and observe any effect on their marketing. Steve concluded by mentioning Nottingham’s new ideas: U-Now and a university Flickr account. There were also excellent presentations on work by University of Cape Town to create and provide OER–even allowing lecturers to upload their own material to the repository, similar to a ‘pride of ownership model’ at Massachusetts Institute of Technology. Delft University of Technology reported a definite increase in the number and quality of international PhD students after publishing courses as open, as well as faculty satisfaction with their improved reputation as a result of OER publications. It was these academic benefits of OER which I believe should be particularly persuasive for institutions considering OER publication. I will be looking at these benefits and related impact specifically as I examine iTunes U in the SPIDER project. Once upon a time, I worked as a programmer in the R&D department of a large computer company. There was an expensive air-conditioned computer room with people whose job it was to look after the (then) cutting edge hardware. One day, we arrived for work to find that the equivalent of the main file server was down, and a number of engineers from the hardware company ware scurrying around the fancy computer room looking flustered. Of course, being a business environment, we were soon found some work to fill the time (filing papers or something) until after lunch when we were told the system was back. Well, “back” is the word – back a whole week, in fact. The IT department took regular backups (monthly rotating copies – lost data may not be noticed for a while – off-site – in case of fire, etc. – daily incremental – changes since the last complete backup – and so forth) but it seems the contractors hadn’t been so careful. They had managed to wipe the main disc (or maybe it had crashed already) along with a week’s worth of backups. This was three days before the customer delivery deadline. Being a commercial organisation of course, they didn’t want to delay delivery, so it was down to the programmers to redo a week’s worth of programming and finish the project in the remaining three days (well, five in fact, as there was a weekend attached). It was, actually, a valuable lesson in the importance of backing up one’s work. 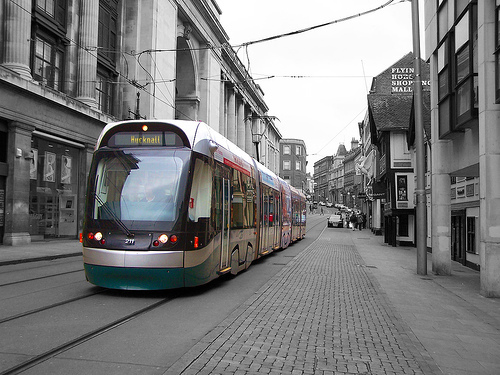 Zipping forward in time, to University of Leicester’s SWIFT project in 2010. 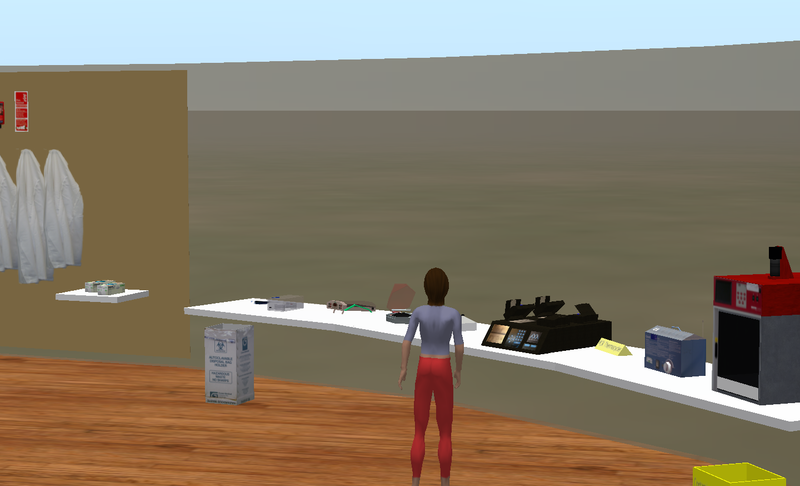 We have created two virtual laboratories in the virtual world of Second Life (SL) – not a small task. Now as before, we are trusting a third party to make suitable backups of that work (Linden Labs in fact, who run the Second life system). Now for all I know, they may have a backup regime to rival NASA. It’s just that, well, past experience has taught me to always make my own backups as well. So I was very happy this week to find just how easy SL backups can be. I used the independent (of SL) viewer “Imprudence” and simply selected “Export” from the pie menu. You can’t backup textures and scripts, or other people’s objects, but since we created everything we now have a directory from which we could restore the main parts of our virtual genetics lab should we ever need to. But it gets better! I was investigating Imprudence because I was recommended a web page giving easy instructions for installing Opensim (Opensim provides a free open-source virtual environment, largely compatible with SL). In less than a couple of hours I recreated our virtual lab in our own Opensim environment – our own, private SWIFT. There’s more . . . as my colleague Simon Kear pointed out, it should be possible to create a distributable single-user virtual world for anyone to use – a complete OER (Open Educational Resource), the virtual world and its project such as SWIFT, for download to a memory stick to run anywhere, no Second Life or even internet connection required. Currently, we like to distribute “regular” OERs in several formats, such as DOC, PDF and e-book formats, so as to ensure they can be used by as many people as possible. That’s why it’s exciting to find we could distribute virtual world artefacts in a new way that anyone with a fairly new computer could take and use. Our OTTER project was very successful in setting up a streamlined mechanism for distributing OERs. As more is built in virtual worlds, maybe it’s time for “virtual-OTTER” – a project to incorporate virtual worlds into the OER fold. OERs – the ultimate off-site backup! Who cares about the audience for OERs? When you develop learning materials, it is generally considered good practice to ask yourself two key questions before starting: 1) What are the learning objectives? and 2) Who are the learners? However, the second part of this practice (considering the audience) can become oddly compromised when you try to transform existing learning materials into open educational resources (OERs) for public access on the Web. Taking a set of materials that has worked perfectly well within a given context, and for a known group of learners, and trying to make them ‘open’ and transferable, can lead authors to take out many of the elements that seem to tie the materials to that specific context and audience. In a workshop on ‘Designing for Openness’ led by the OTTER project team today, one participant applied this approach to some materials she had developed for her students which she wanted to transform into an OER. She was disappointed with the outcome: she commented that she felt there was ‘something missing’ from her revised materials. The removal of all contextual elements resulted in the new materials feeling rather lacklustre and sanitised. However, the alternative approach – simply leaving the materials as they were and not making any adjustments for the potential new target audience on the Web – seemed somehow careless and inconsiderate. A possible solution might be to produce a description of how the materials were designed to be used, and who the original target audience was, rather than trying to edit out every contextual reference in the materials themselves. In other words, to give users more information about the original context of use, rather than less. Users can then make informed decisions as to how to adapt the materials to suit their particular contexts and learners. For more on the Designing for Openness workshop, see Gareth’s blog. Volcanic ash is causing trouble again. Last week I came across some e-learning about volcanoes. Made by the BBC a few years ago, it’s aimed at Scottish secondary schoolchildren, but could be valuable to anyone trying to understand what happens when volcanoes erupt. You probably recall that in July 1995 the Caribbean island of Montserrat experienced horrendous eruptions, with little warning, of its Soufrière (sulphur) Hills volcano. The BBC (Scotland) put together an online multimedia ‘tutorial’, including text, web sites, audio and video, to explain what caused such disaster, in which 19 people lost their lives and the economy of the island was destroyed. Have a look at it here. What caused the volcano to erupt? What impact did the eruption have? What action was taken before, during and after the eruption? As a geography teacher in an earlier life, I was curious about the pedagogical approach. It had a dated feel of ‘Give the kids the resources and make them work’. But of course the web site was originally intended to serve the needs of classroom teachers and their students (in Scotland). I think it does provide opportunities for group discussion, and there’s a list (needing some updating) of other useful web sites. How would you update this tutorial for the BBC, given your knowledge and expertise in e-learning? I would want far larger images, for a start, because the small thumbnail newsreel videos really tell learners very little. The teachers’ notes mention two TV programmes, but I couldn’t discover whether those are still broadcast or downloadable. I would also want to introduce greater opportunities for interactivity online, perhaps between students in different schools, perhaps even between them and people in Montserrat today. Designer OERs: how fashionable can OER production be? There is no doubt that OERs potentially present an alternative to current forms of higher education. No wonder they have gained, and continue to gain, the attention of educational policy makers around the world. Production models are still emerging across different institutions, communities and disciplines and an examination of these models shows that they are predominated by supply production frameworks. At last year’s Open Learning conference at the University of Nottingham, representatives from OER Africa expressed their willingness to work with academic partners across the world who were eager and willing to respond to the specific educational needs of Africa. OER Africa was much averse to the one size fits all approach which currently dominates OER production. Their concerns raise questions regarding alternative methods of OER production as part of opening up education to the wider world. This calls for a shift away from “supply” to “demand” models of OER development or what I would like to term “designer OERs”, which are made to measure to the specific educational needs of members of the global community. In this regard, there is a lot that OER practitioners can learn from the fashion design industry. Within this industry, the everyday needs of celebrities and individual customers are paramount and continue to drive the market. The principles of wearability, suitability, affordability, simplicity, sophistication, presentation, fit for purpose and planned obsolesce are key. Fabrics are carefully chosen, both the soft and the stiff, influenced by the time of the year, the season, the occasion, and cultural as well as social norms. Particular attention is paid to cutting and stitching to suit different shapes and sizes. Innovation within the industry is a constant feature, as are different fashion lines. Quality at different outlets remains the same but responds to different market types, from the Haute Couture to the mass market. The implications of these principles, when applied to OER production and practices, can be far reaching. Like libraries of the past decades, much OER production continues to rely on “just in case” – supply – models to the neglect of “just in time” – demand – models. In the absence of a global educational curriculum it becomes difficult to assess the potential value and usefulness of an OER at the time of its production. A context sensitive, made to measure, made on order or tailored approach to OER production is much more likely to respond to specific “consumer” needs. The value of a “designer” approach to OER production is that it is much more likely to promote horizontal (re)usability across different regions of the world. Such an approach also minimizes the possibility of OER projects folding-up when their sources of funding dry-up. How fashionable can we get in the OER production and development industry? Samuel Nikoi (16 March 2010). BDRA’s OTTER (Open, Transferable and Technology-enabled Educational Resources) project enables the production and release of high-quality open educational resources (OERs) drawn from teaching materials delivered at the University of Leicester. You can already use OERs from 12 different subject areas. This very successful project is soon to end, though there’s some chance of similar research being funded at BDRA in the near future. OTTER – funded by JISC and the Higher Education Academy – enables, pilots and evaluates systems and processes designed to enable individuals, teams and departments to release high-quality OERs for free access, reuse and repurposing by others under an appropriate open licence, in perpetuity. Since MIT launched the first OpenCourseWare (OCW) initiative in 2002, responses from the academic community have ranged from exuberance to angst. Some institutions have been reluctant to adopt a program of open publishing because of concerns about long-term funding and possible adverse effects on paid enrollment. Money is an issue, forcing some organizations that initially created OCW programs to furlough them due to funding challenges. This study examined the cost of converting online distance learning courses to OCW, the impact of opening these courses on paid enrollments, and the long-term sustainability of OCW through the generation of new paid enrollments. As part of this study, At Brigham Young University the Independent Study Program (BYU IS) converted three university and three high school courses to OCW. BYU IS provided an option for OCW users to pay regular tuition and enroll in the online course for credit. The average ongoing cost to convert BYU IS courses to OCW was $284.12 per university course and $1,172.71 per high school course. The six opened courses generated 13,795 visits and 445 total paid enrollments in four months. The profit margin on the paid enrollments OCW generated was calculated to be 3.81%, sufficient for open publishing to be financially self-sustaining at BYU IS. OTTER is working with academics to produce OERs, but can learners successfully produce their own? Ari-Matti Auvinen’s paper, ‘The challenge of quality in peer-produced eLearning content’, describes some production principles and proposes validation through peer review. Learners are creators of the content, no longer purely consumers but they participating in learning therefore influencing it. Peer production can empower a wide variety of professionals to generate learning content but is the quality good enough? This article introduces QualityScape, a method developed by the European Quality Management in Peer Production (QMPP) project for assuring the quality of peer-produced eLearning content. QMPP found that quality is the result of the interplay between peer production of digital content and peer validation processes of digital content. Meantime, I couldn’t resist having a look at a new journal I hadn’t spotted before: The International Journal of Virtual and Personal Learning Environments (IJVPLE). Like me, you may be interested in the review of what is claimed to be the first book in its field: Judith Molka-Danielson & Mats Deutschmann’s Learning and Teaching in the Virtual World of Second Life. Trondheim: Tapir Academic Press, 2009. It’s about a state- funded Scandinavian project on using Second Life in adult education. As part of Nottingham Trent University’s staff development week, I was invited to run a two-hour workshop on learning design and e-moderation. I had a mixed audience today, including established e-learning practitioners and several academics who are considering dipping a toe in the e-learning waters. I took participants on a brief journey of challenges, research projects and findings, pedagogical innovation and change. We discussed course design, e-tivities and assessment, before moving to the art of e-moderation. Open Educational Resources (OERs) in learning design was part of my message. It turned out to be a very interesting part for my audience. During the break, I was approached by a number of participants who expressed an interest in OERs and their likely application in their disciplines. 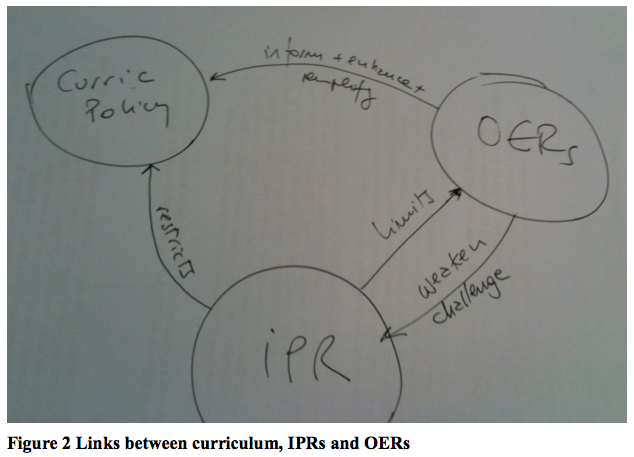 I decided to revisit OERs after the break and showed some more examples, which participants appreciated. On an afternoon of design and delivery, an otter turned up to sow a seed. Watch this space, as the OER seed may grow at NTU, as it has done at Leicester and elsewhere.